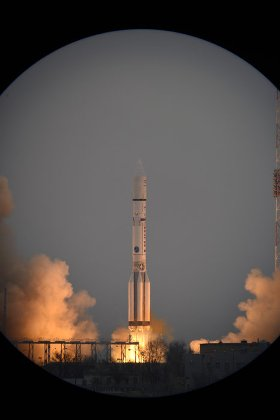 On March 14, 2016, the European Space Agency (ESA) launched the first mission in the ExoMars Programme, intended to investigate the Martian Environment. This first mission includes the Trace Gas Orbiter, carrying instruments to detect and study atmospheric trace gases, plus a landing demonstrator module, known as Schiaparelli, carrying, among others, sensors to study the environment at the landing site. The scientific payload on Schiaparelli includes the DREAMS (Dust characterization, Risk assessment, and Environment Analyser on the Martian Surface) package. DREAMS is a small meteorological station that will measure local weather conditions at the landing site, such as temperature, humidity, pressure, dust opacity, wind speed, and wind direction. It will also perform measurements of the electrical properties of the Martian atmosphere—the first time this has ever been done. The principal investigator for DREAMS is Francesca Esposito from INAF—Osservatorio Astronomico di Capodimonte, Naples, Italy. To study in detail the effect of electrical charging during dusty events—dust storms, dust devils, blowing sand and dust—Francesca’s team performed several campaigns in the Western Sahara desert during 2013 and 2014. The measurement site was chosen for its similarity to Mars. The Italian Space Agency (ASI) is the lead funding agency, with Raffaele Mugnuolo as the Programme Manager. The Italian Distributor for Campbell Scientific, Ecosearch, was invited to supply a series of monitoring instruments, similar to the DREAMS sensors. The installed systems, based on CR3000 and CR1000 dataloggers, collected various atmospheric and environmental data. The focus was on the processes responsible for lifting dust into the air and the relative feedback with the electrical properties of the atmosphere. The unique data collected from the sensors will help to interpret similar phenomena on Mars.